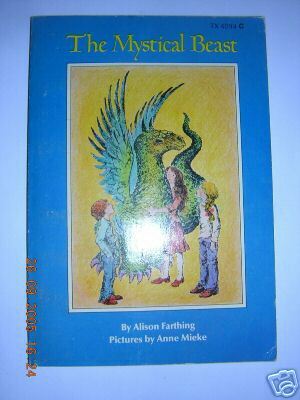 This is the first book I ever remember reading. I think I may have gotten it from Scholastic. I didn't know you had to start at the beginning, i.e., at the left. So I opened it up, and just started reading until I reached the end. I was probably 4 or 5. Several years later---when I was immensely more mature, you can be sure, and I happened to see the book and decided to recapture my extreme youth---I started at the beginning. I was shocked, and had no idea what book it was; it was quite a few pages before I got to a spot I recognized. And while the book perhaps might have made more sense then, in fact my little kiddy mind had seen nothing odd in jumping into the middle of a story.